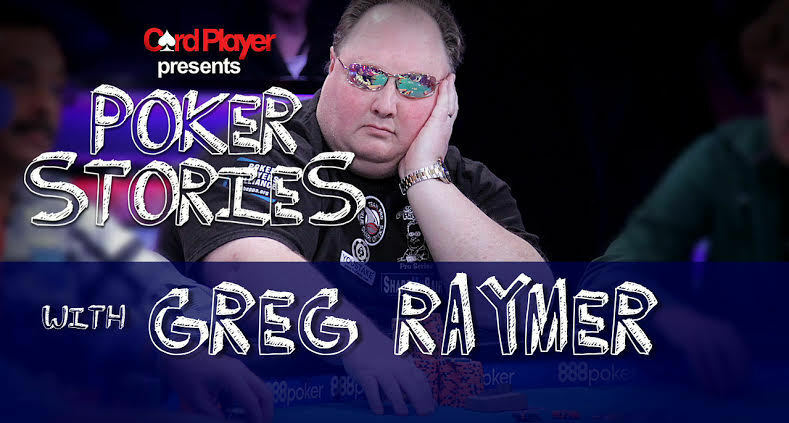 Greg Raymer became a household name in the poker world back in 2004 when he won the World Series of Poker main event and the $5 million first-place prize. With his signature reptilian sunglasses and his fossilized card protectors, Raymer nearly went back-to-back before bowing out in 25th place back in 2005. The former patent lawyer has seven other WSOP final tables on his resume, and in 2012 he won an unprecedented four Heartland Poker Tour main event titles en route to HPT Player of the Year honors. Raymer has racked up more than $7.5 million in career tournament earnings. Highlights from this episode include giving badugi lessons, a knack for racquetball, abandoning academia, being a card counter in Minnesota, why Bret Maverick is weak tight, an appreciation for Matt Damon, selling action for the main event, hosting a poker game for Mickey Mouse, fighting off armed robbers at Bellagio, the error rate of the death penalty, the rarity of royal flushes, and a bad beat that cost him $40 million. Catch up on past episodes featuring Daniel Negreanu, Nick Schulman, Bryn Kenney, Mike Sexton, Brian Rast, Jean-Robert Bellande, Justin Bonomo, Scott Seiver and more. If you like what you hear, be sure to subscribe to get the latest episodes automatically when they are released.